There's one thing that is guaranteed to catch Elliot's eye when we go shopping. Not sweets, not toys....but the magazines! He just can't resist them and I get nagged to death to buy them! 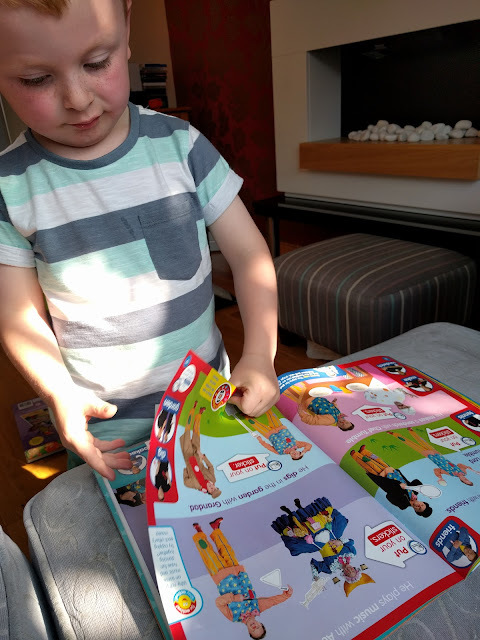 There are so many magazines aimed at pre-schoolers but one of the best ones on the market is Something Special - Mr Tumble is so popular with the little ones and the magazine is just as informative as the Something Special programme. The latest issue (out on 8th June) has gone interactive and you can watch the characters come to life! 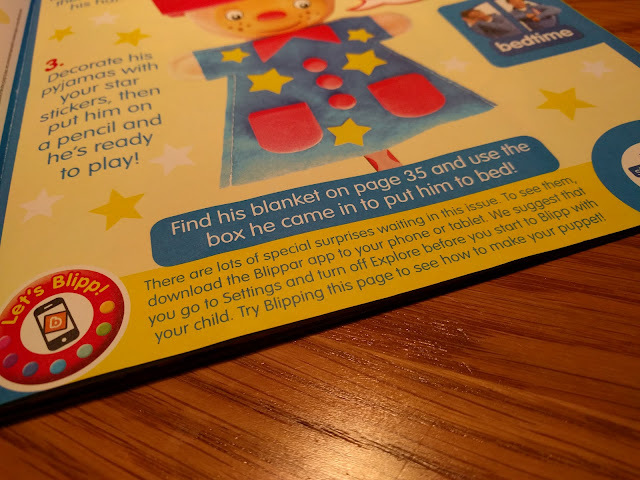 All you need to do is download the Blipper App (it's free) and you can access all the extra features in the magazine. 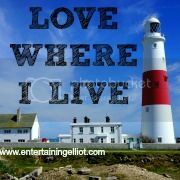 Everytime you spot the Blipper symbol, just blip the page using the app and you will find lots of exciting surprises such as videos and even a message from Mr Tumble himself. Elliot couldn't wait to get to grips with this magazine and the first thing he did was investigate the free gifts. And what brilliant gifts they were! There was an explorer set featuring a notepad, pencil, magnifying glass, binoculars and stickers. The other gift was a make your own Mr Tumble puppet. 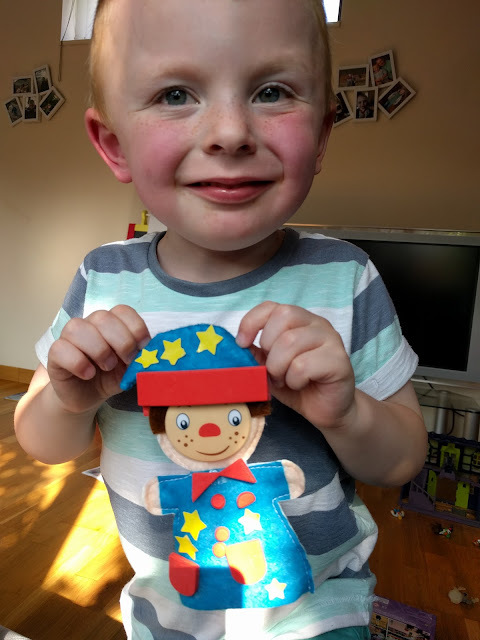 This little activity was a massive hit and Elliot spent ages sticking on the stickers to make the puppet - he didn't need any help from me and was so excited with his finished result! The magazine is bursting with activities for little ones and they will recognise all their favourite characters from the Something Special programme. I love that the magazine incorporates Makatron too - on each page you will find pictures of Justin doing the sign for the words used on the page. One of Elliot's favourite aspects of the magazine is the stickers and he will always look for these first. 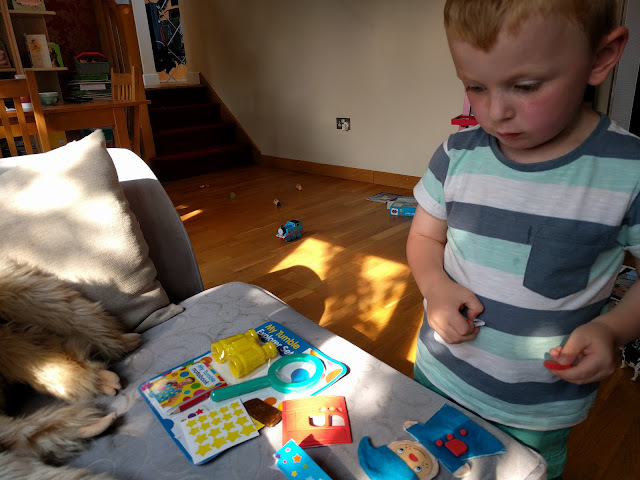 He enjoys finding the correct page and I think it's a really great way of enhancing his number skills as he is recognising the numbers and matching these up with the page numbers. The interactive aspect was fun to explore - I've never used Blipper before but it was very simple and even Elliot was able to use it. There were at least 5 Blipper symbols scattered throughout and we had lots of fun spotting these and "blipping" the pages. One of the things I love about this magazine is that there is plenty for Elliot to do without needing me to help and he is quite happy sat going through the pages and finding activities to do. 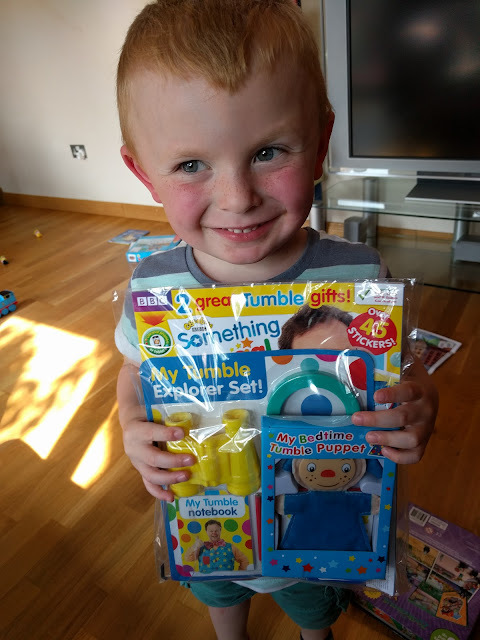 The Something Special magazine was a big hit in our house Elliot can't wait for the next issue to see what free gifts there are!